The distinctive features of the monomeric allergoid lie in its application in SLIT (Sublingual Immunotherapy). Monomeric allergoid SLIT is partially retained within the oral mucosa and loco-regional lymph nodes for at least two hours, eliciting local tolerogenic mechanisms. After swallowing, a partial amount of the monomeric allergoid SLIT reaches the systemic bloodstream intact, suggesting a certain resistance to degradation by gastric and enteric enzymes. 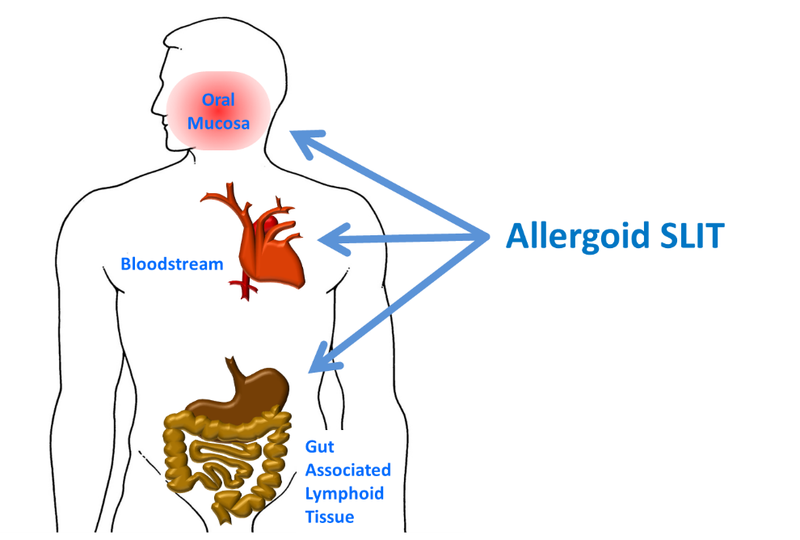 The undegraded allergoid is able to stimulate immune changes in the GALT (gut-associated lymphoid tissue), contributing to a systemic tolerogenic response against the allergen. In comparison with native allergen SLIT, the dual action on both the oral mucosa and gut-associated lymphoid tissue provides a favoured bioavailability of the monomeric allergoid SLIT. 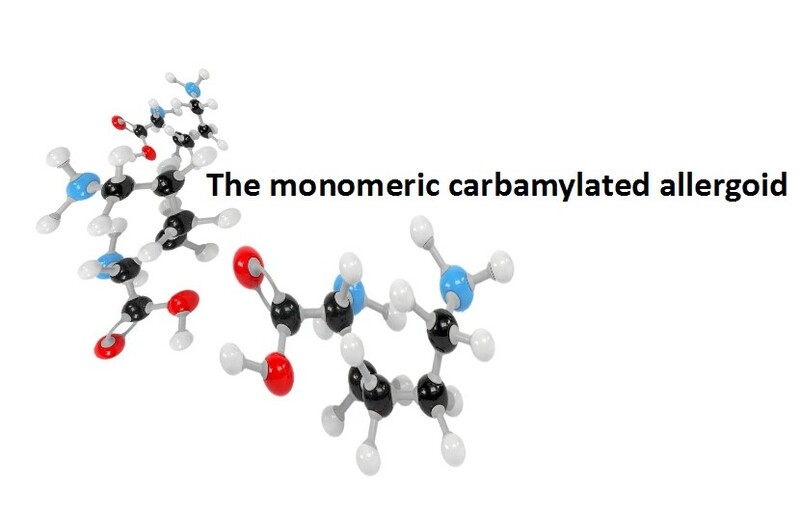 Due to its clinically proven safety and tolerability, the monomeric allergoid could even be administrated without an up-dosing phase, although an up-dosing phase is normally required by the dosage protocol of native allergen SLIT. The lack of an up-dosing phase allows the patient to reach the optimum maximum dosage directly, which in turn renders symptom improvement in a shortened period. In summary, the favourable safety profile and clinical benefit of the monomeric allergoid, as consequences of reduced allergenicity and enhanced immune stimulation, permit an easy handling of the SLIT protocol and administration schedule with positive repercussions on patient’s acceptance and adherence to treatment.